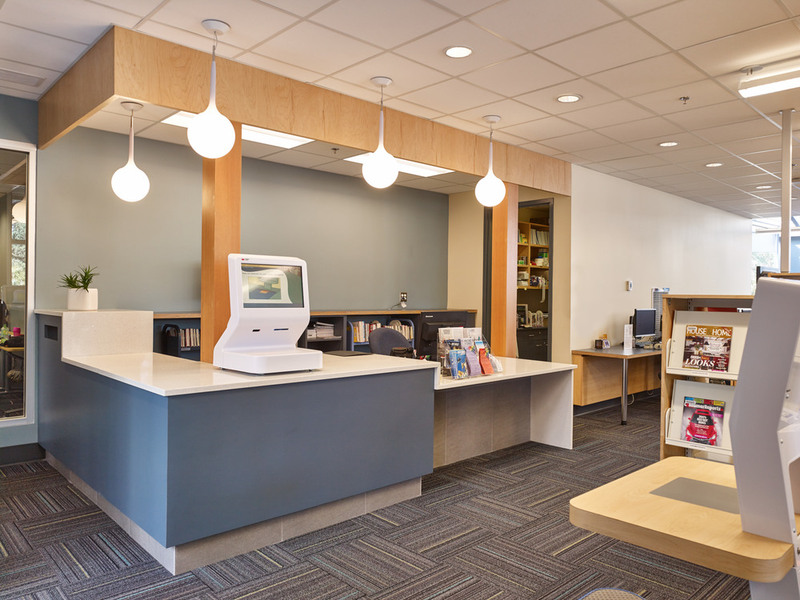 This expansion project creates a true community hub through the integration of multiple community service providers from the host Parks and Recreation fitness and multi-use facilities, Childcare services, a branch Library, and community Police offices. A focal point of the expanded facilities is a community living room complete with easy chairs and a fireplace at the heart of the centre. 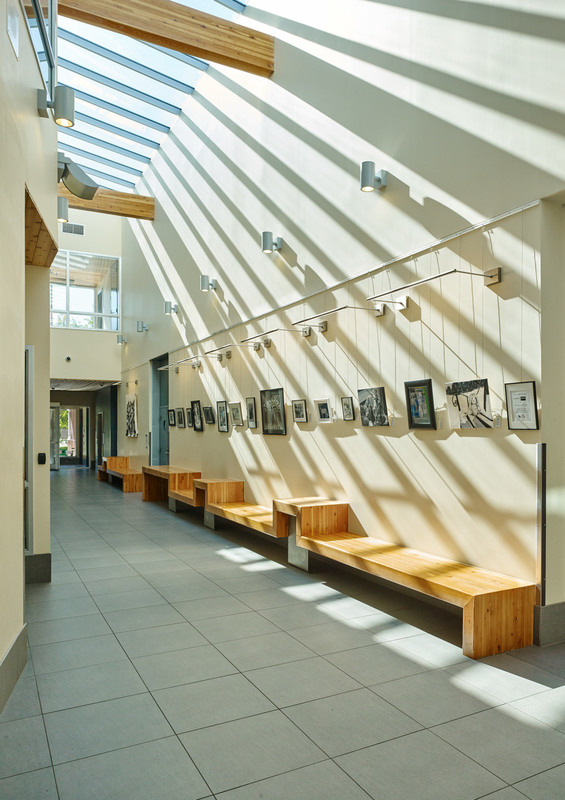 A skylit atrium provides an interior street to access all the program areas from and providing a clear organization and ease of supervision. 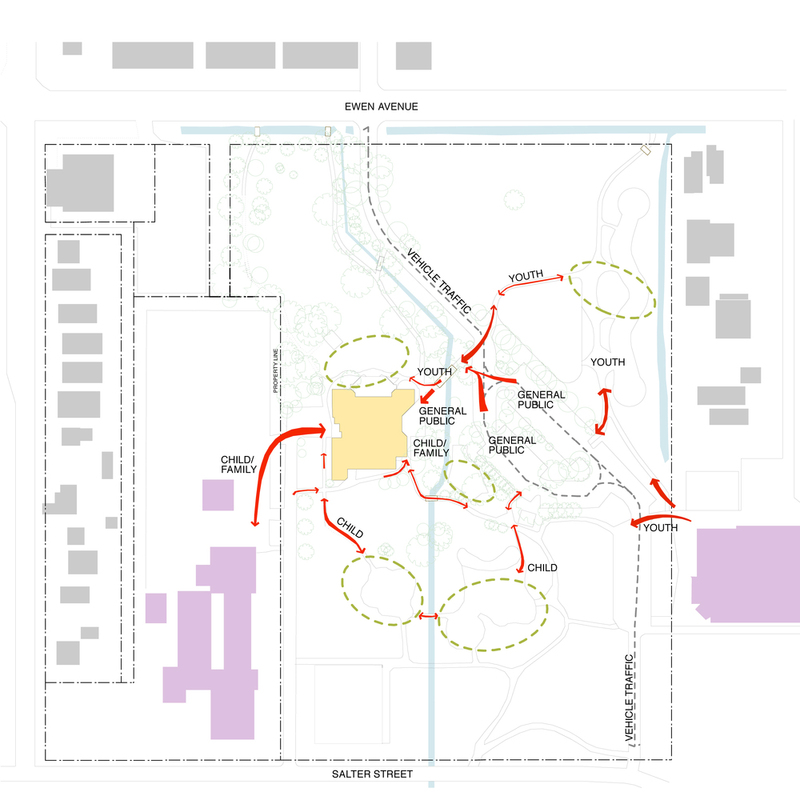 A key design directive was to open the previously inward looking facility to the park and invite the community in.